Come for the books. Stay for the wine. Lydia Kiesling is the editor of The Millions. 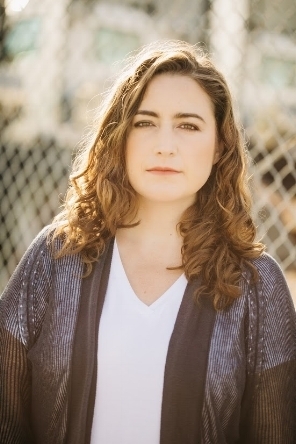 Her debut novel, The Golden State, was longlisted for the Center for Fiction's First Novel Prize. Her essays and criticism have appeared in The New York Times Magazine, The Guardian, Slate, and The New Yorker online, and have been recognized in The Best American Essays 2016. Kiesling lives in San Francisco with her family. In Lydia Kiesling’s razor-sharp debut novel, The Golden State, we accompany Daphne, a young mother on the edge of a breakdown, as she flees her sensible but strained life in San Francisco for the high desert of Altavista with her toddler, Honey. Bucking under the weight of being a single parent―her Turkish husband is unable to return to the United States because of a “processing error”―Daphne takes refuge in a mobile home left to her by her grandparents in hopes that the quiet will bring clarity. But clarity proves elusive. Over the next ten days Daphne is anxious, she behaves a little erratically, she drinks too much. She wanders the town looking for anyone and anything to punctuate the long hours alone with the baby. Among others, she meets Cindy, a neighbor who is active in a secessionist movement, and befriends the elderly Alice, who has traveled to Altavista as she approaches the end of her life. When her relationships with these women culminate in a dangerous standoff, Daphne must reconcile her inner narrative with the reality of a deeply divided world. Keenly observed, bristling with humor, and set against the beauty of a little-known part of California, The Golden State is about class and cultural breakdowns, and desperate attempts to bridge old and new worlds. But more than anything, it is about motherhood: its voracious worry, frequent tedium, and enthralling, wondrous love. 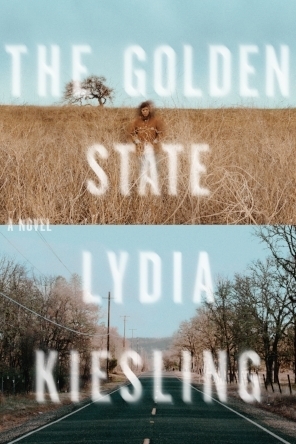 Publishers Weekly praised The Golden State as “an intimate, culturally perceptive debut” in their starred and boxed review and highlighted Lydia as a Writer to Watch. The Golden State was also long-listed for 2018 The Center for Fiction’s First Novel Prize.